Whether it is games, sports, or anything else in life, we all have a favorite underdog. 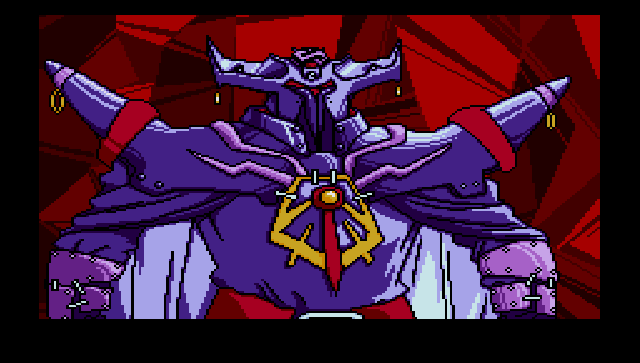 When it comes to underrated villains, Ghaleon hardly gets recognized as a great villain outside of the Lunar fan base. Over the years and through different versions of Lunar I and II, Ghaleon has received different interpretations. For this segment of Building Character, Ghaleon is going to be discussed and examined in three parts to cover all ground. 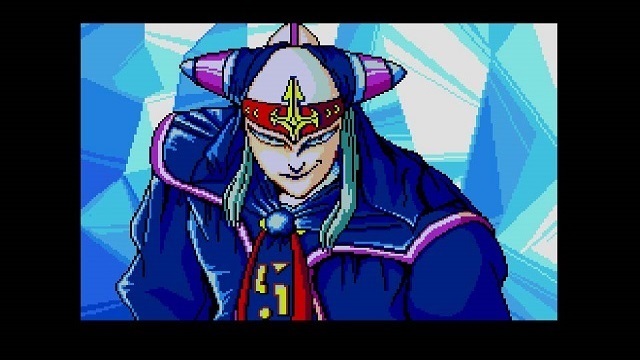 Today is going to be devoted to Ghaleon’s original character in the Sega CD classic, Lunar: The Silver Star. Ghaleon is one of the four heroes of Lunar. Boasting powerful magic, he fought alongside Lemia Ausa, Mel de Alkirk, and the eventual Dragonmaster, Dyne. Once the Four Heroes saved Lunar from evil, Ghaleon became the Premier of the Magic Guild of Vane. Lemia Ausa served as the leader of the Magic Guild in Vane. He was a good man until he lost his best friend Dyne. In Lunar: The Silver Star, Dyne and Ghaleon are sent by Althena to stop the Black Dragon from his insane rampage. 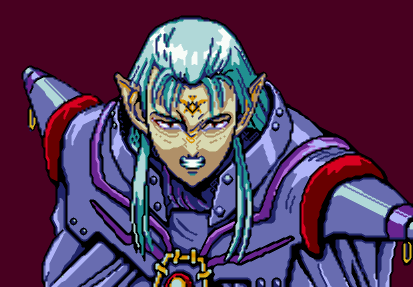 Unfortunately, Dyne was sacrificed in the process and only Ghaleon returned from the mission. A part of Ghaleon died that black day. From that point forward, he swore to take revenge on Althena and the Dragon Tribe. A plan was set for him to rule over Lunar with Althena as his puppet. Ghaleon is driven by revenge in The Silver Star rather than misunderstood noble intentions portrayed in the remakes. He is manipulative, clever, smart, insane and cunning. In this interpretation, Ghaleon is outright evil. He loves to taunt others, persuade people to do his bidding, and will let nothing stand in the way of his goals. This shines with both John Truitt’s voice acting as Ghaleon and through his dialogue in the text box. Behind the scenes, he works as the Magic Emperor. He imprisons Lemia Ausa and wipes out her memories, he kills Quark and the remaining dragons, he destroys Dyne’s monument, he sends Xenobia to kidnap Luna, he releases the Vile Tribe from the frontier, he sends the entire village of Burg to the Talon Mines to work as slaves for him, and finally, he builds the grindery, a steel moving fortress to destroy Vane and crush anything in his way. There is no remorse running through Ghaleon’s veins. In this interpretation, he is a serious threat who will destroy anything in his way. Ghaleon puts on his Joker face. Compared to other interpretations of Ghaleon, he is more sinister and more threatening in The Silver Star. While GameArts was happy with The Silver Star’s success, they were not satisfied with Ghaleon’s character. They believed Ghaleon could have been fleshed out better as a character. For their first remake, GameArts decided to go back to the drawing board and recreate Ghaleon’s character and backstory. Part 2 will be covering the more common interpretation of Ghaleon found in the remakes of the first Lunar game, primarily the PS1 remake.